Put your credit card away. 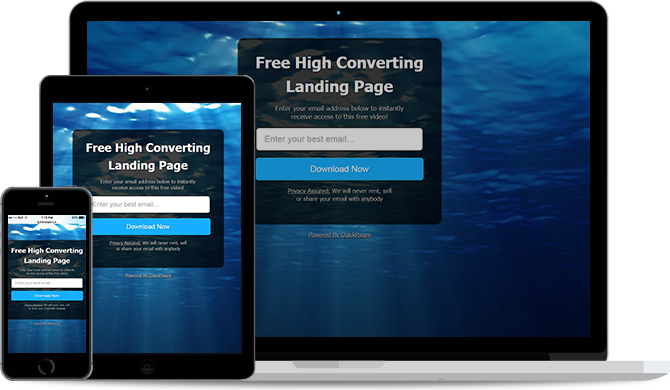 QuickPages is the only free solution available to build high converting landing pages. Improve your business today. How Can QuickPages Help You? This product was built with one core principle: simplicity. Every solution in the market is expensive and requires you to spend hours installing the software, customizing the landing pages and integrating it with your favorite autoresponders. You don't need all those fancy, useless features. We made sure QuickPages only contains important funtionality that genuinely improves your conversion rates. There's no need to learn HTML, CSS or any of that mumbo jumbo! All you need to do is fill in a few fields to tailor the landing page for your business and our software will do the rest for you. QuickPages is a simple point and click solution. There's absolutely no coding involved. We also have tutorials and support offered if you need help in any step of the way. Tracking visitors and conversion is absolutely crucial for your business. You need to know which landing pages are working and get rid of the ones that don't. QuickPages makes it very easy to do exactly that. Using our tracking system, you can see how many people visited your landing page and how many of them subscribed to your email list. 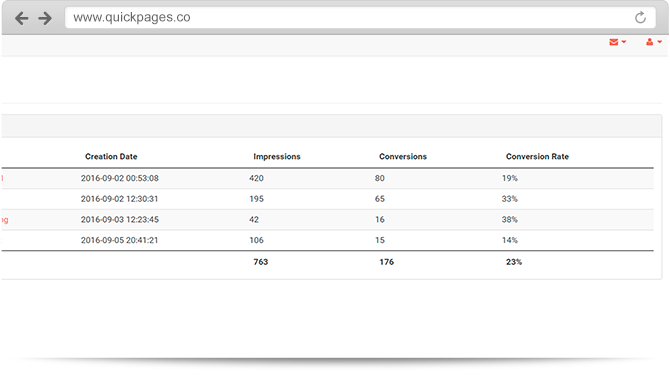 We calculate the important things like the conversion rate for you — that way you can focus on the important metrics. 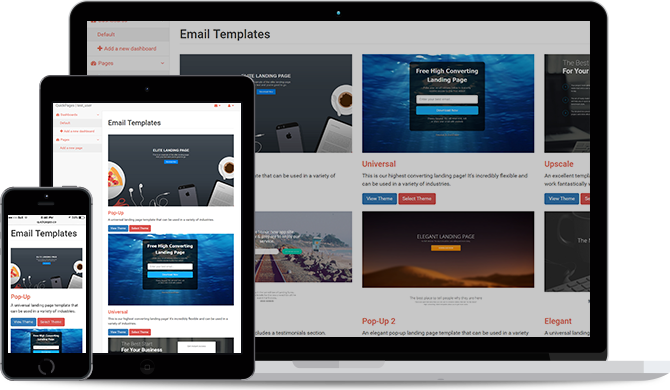 Every landing page looks fantastic on a desktop, tablet or mobile device. No matter what device your visitors use, they will have an excellent user experience tailored to their device. There's no need to do any extra work or customization on your part. 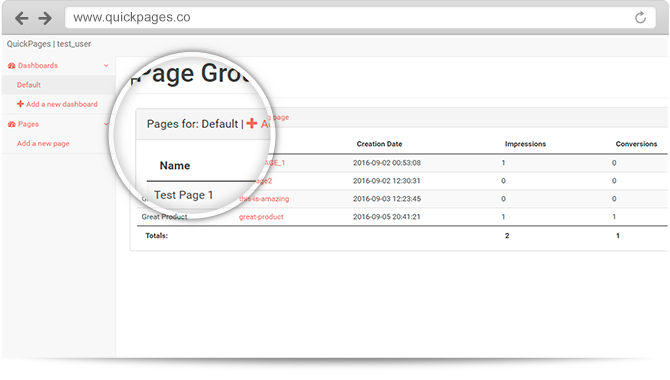 QuickPages automatically formats each landing page to ensure it looks good on every device without any effort on your end. Choose one of our many landing pages and customize it to suit your business. Share your link and drive traffic! Promote, promote, promote! Drive traffic to your landing page and watch the leads come in!